This tool guides physicians, other practitioners, and staff in assessing and managing individuals who have a recent history of falls or who are at risk of falling. This CPG will help identify ways to modify some of the risk factors for falls, as well as identify ways to adjust the patient's environment to minimize the risk of injury due to falls. Nursing facility patients fall for various reasons and there are many age-related factors that contribute to a greater risk of falling. 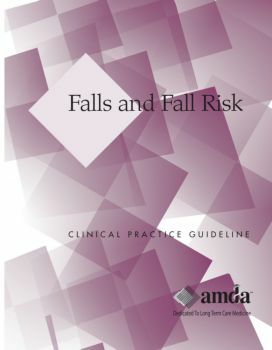 This guideline will help identify ways to modify some of the risk factors for falls, as well as identify ways to adjust the patient's environment to minimize the risk of injury due to falls.